Once again Sneakersnstuff teams up with ASICS to work on a new collaboration project. 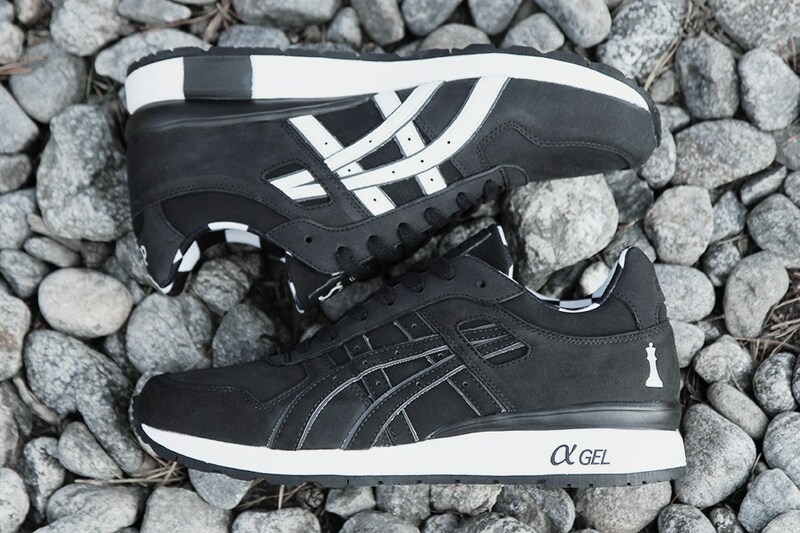 For this round Sneakersnstuff chose to work on their favorite ASICS silhouette – the GT-II. 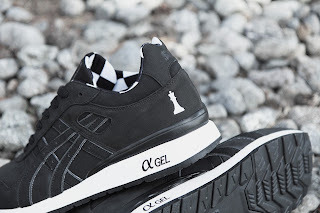 The same model that they worked on for their first project with ASICS back in 2011 when they released a runestone version of the shoe. 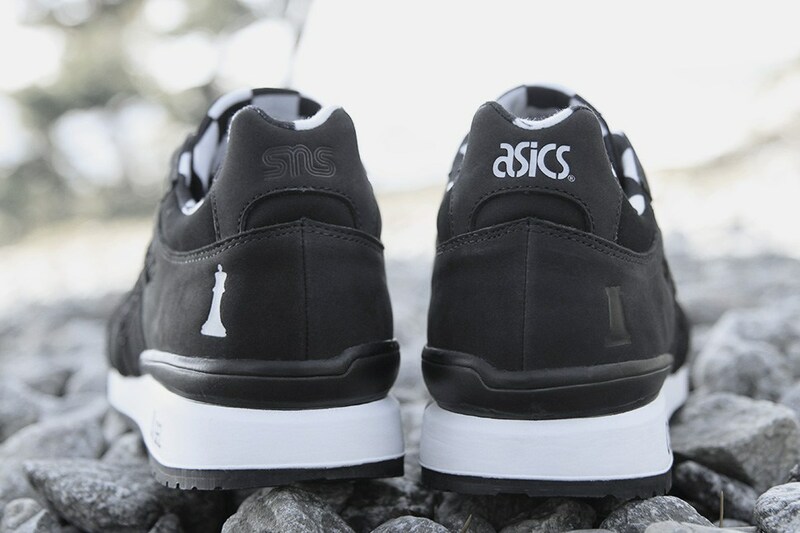 The inspiration for the design this time comes from the classic Swedish movie ”The Seventh Seal”. 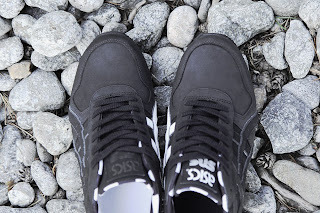 A film that was written and directed by the legend Ingmar Bergman. The story of the movie takes place during the Black Death in Sweden and you follow the journey of a medieval knight and his game of chess with Death regarding his life. 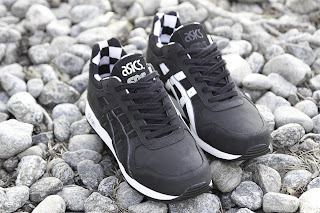 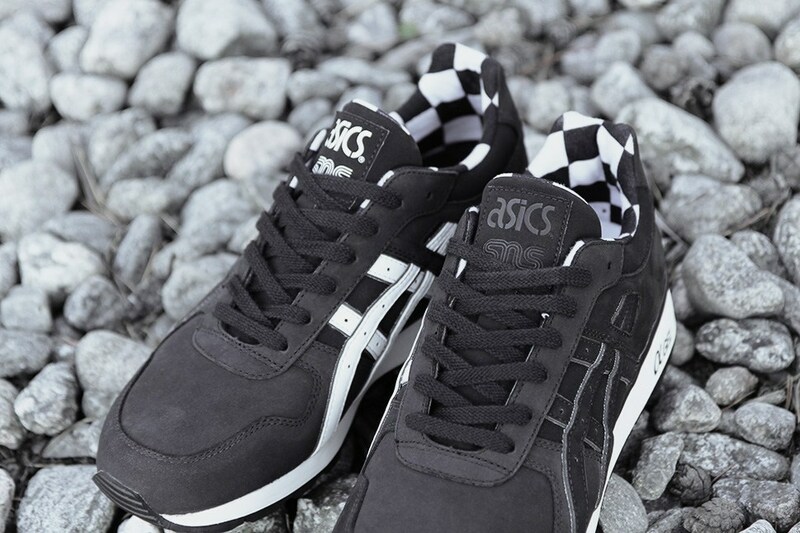 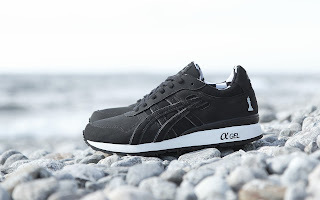 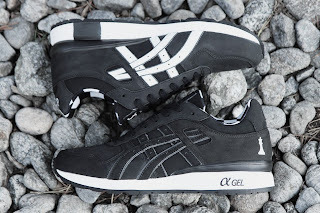 This version of the ASICS GT-II is made in heavy black nubuck with black and white details. On the heel and sock liner you have the chess pieces from the game and of course it comes with a checkered lining. 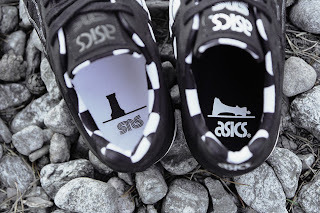 The stripe on the lateral side of the shoe is black with 3M base and on the medial side the stripe is white with a 3M base.